The chief medical officer of UW Medicine and the VP for medical affairs at University of Washington is this year's Lifetime Achievement Award winner. Dr. Carlos Pellegrini grew up in a small, agricultural town in Argentina. It was there that he developed an interest in medicine — and with good reason. The town had only two physicians. One was his mother, the other his father. Completing his surgical training at the University of Chicago, he practiced for nearly 15 years at the University of California– San Francisco. 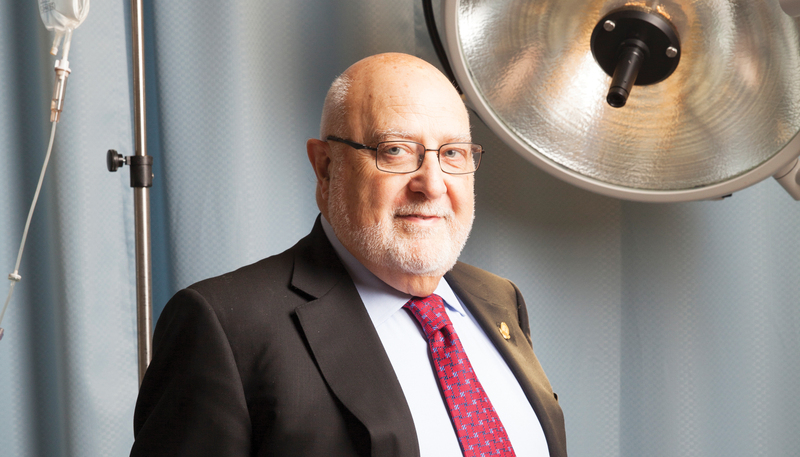 In 1993, he assumed the chairmanship of the University of Washington’s department of surgery and was named the Henry N. Harkins Professor and Chair of the Department of Surgery in 1996, a position he held until his appointment as UW Medicine’s first chief medical officer in 2015. As chief medical officer, Pellegrini oversees more than 4,500 health care providers. Since his appointment, he has led a program that dramatically improved the quality of care. He also reduced costs and ensured that 100 percent of the system’s 270,000 patients have an assigned primary care provider across its 38 primary care clinics. He integrated clinical services for key programs and built an engagement and training program to ready the next generation of clinician leaders.